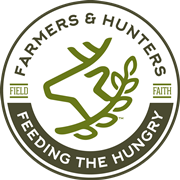 What is FHFH - Farmers and Hunters Feeding the Hungry - Hunt Down Hunger! "For I was hungry and you gave me meat, I was thirsty and you gave me drink..."
From her dress and the appearance of her car it seemed she was not doing well. When I asked if her car was broken she said, "No could you please help me over here beside these bushes.’’ What was waiting for me over beside those bushes? Hesitantly, I followed until I spotted a fat but slightly battered 6 point buck beside those bushes. She slowly asked , "Could you please help me put it in my trunk?" As she closed the lid of her trunk I asked one last question. "Would you like me to field dress it for you?" Her reply answered all, "No, since my husband left, me and my kids are gettin' good at it... and they don't bleed all over my trunk anymore." Standing there as she drove away I knew I had just looked into the eyes of Jesus. Hunters in some parts of the country are able to harvest more deer than they can eat or share with their friends and family. Farmers are issued management permits to reduce deer numbers that are damaging their crop yields. Some also have livestock they are willing to donate. Farmers and hunters are invited to donate their deer, other big game, or livestock to inspected, approved meat processors that participate with FHFH. 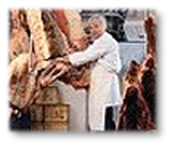 Individuals, businesses, churches, clubs and foundations make contributions to FHFH to help cover the costs of processing, packaging and freezing the meat. This nutritious, low fat, high protein meat is then given to community agencies such as church pantries, church feeding ministries, the Salvation Army, community food banks, emergency assistance programs, Rescue Missions, children's homes to distribute or serve to their clients. 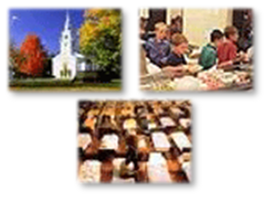 Click here to donate financially to FHFH. To donate venison or livestock, click here to find a particpating meat processor in the state you live in. To find out how your corporation or organization can become a Partner with FHFH, please call us at (301) 739-3000 or email us at staff@fhfh.org. FHFH is a non-profit, 501(c)3 organization. All contrib﻿utions are tax deductible!